Nortek, Inc. (NASDAQ: NTK) signed an agreement and plan of merger with Melrose Industries PLC, a UK listed public company and Nevada Corp., a newly created wholly owned subsidiary of Melrose, to be acquired by Melrose for $86.00 per share in cash — an estimated total enterprise value of approximately $2.8 billion. 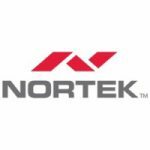 The Purchase Price represents a premium of approximately 38% to Nortek’s closing price on July 5, 2016, and a premium of approximately 80.4% to the volume weighted average price over the prior six month period. Pursuant to the terms of the Merger Agreement, Nevada Corp. will conduct an all-cash tender offer for 100% of Nortek’s common stock (the “Offer”) and, subject to the successful completion of the Offer, Nevada Corp. will merge with and into Nortek (the “Merger” and together with the Offer, the “Transactions”) resulting in Nortek becoming a wholly owned subsidiary of Melrose. The Merger Agreement was unanimously approved by Nortek’s and Melrose’s Boards of Directors. Under the terms of the Merger Agreement, Melrose will commence the Offer as promptly as practicable and in any event by no later than July 11, 2016. Any shares of Nortek common stock not tendered in the Offer will be acquired by Melrose in the Merger and the holders thereof will be entitled to receive the Purchase Price. The Nortek Board intends to recommend that Nortek stockholders tender their shares to Melrose in the Offer.